When officers stop a car they’d been tracking in the Lents neighborhood – the driver took off running. It had been a busy day for two suspected criminals on Wednesday, January 19 – reportedly burglarizing homes in both the Lents and the Foster-Powell neighborhoods, all the while driving around in a stolen car. “The stolen car made an abrupt stop on Rhone Street near 82nd Avenue, and both occupants got out and fled from the Subaru,” later reported PPB Public Information Officer Sgt. Brad Yakots. 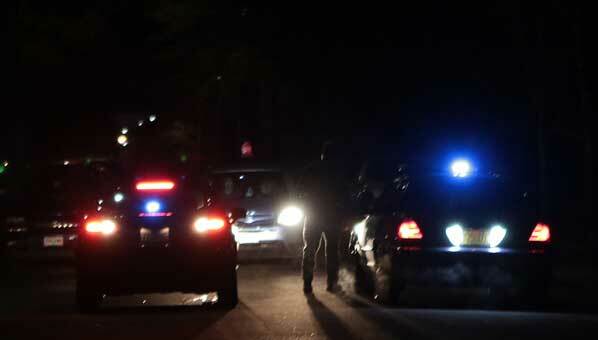 The passenger complied with officers’ requests and was taken into custody without incident, Yakots said. 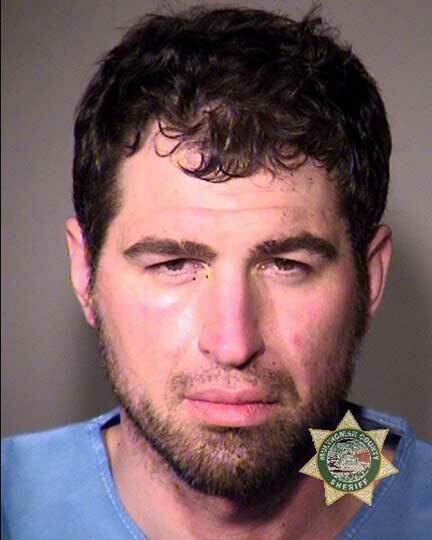 But, the driver, later identified as 36-year-old Nathan Daniel Perkins, broke into a run. As officers set up a containment area and started canvassing the area, the 9-1-1 Center took a call from a resident three blocks south, in the 8000 block of SE Center Street. Officers establish a perimeter and begin to search for the fleeing suspect. “The caller stated that a stranger was inside his house, and he had hit the stranger over the head with a baseball bat to subdue him,” recalled Yakots. Officers arrived and found Perkins, who’d suffered what was a “minor head wound” from the homeowner’s self-defense tactic. Perkins was taken to a local hospital for treatment, and when medically cleared five days later, was booked into jail. 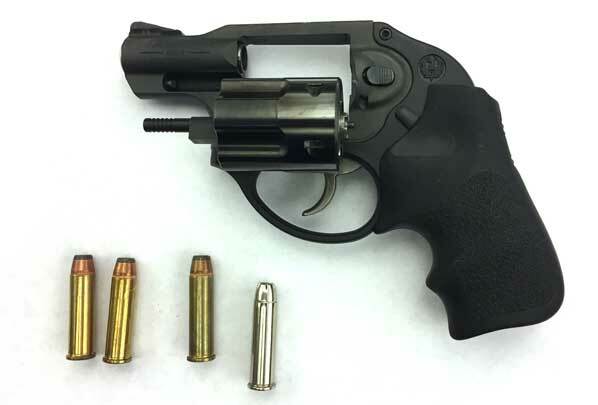 Going through the Subaru, officers found and seized a loaded Ruger LCP .357 caliber revolver. “Based on the information gathered during the investigation, Officers believed the firearm had been in the possession of Perkins,” revealed Yakots. 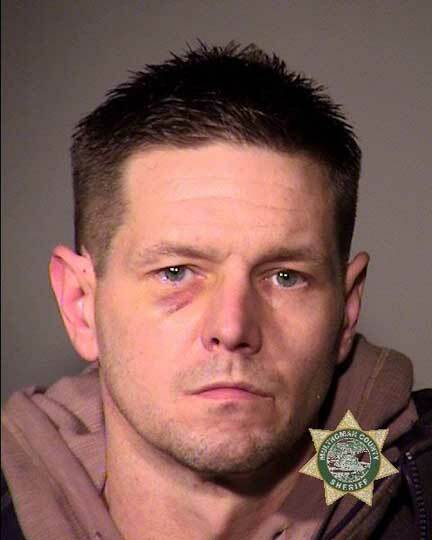 The passenger, 38-year-old Christopher Leroy Landaker, was booked into the Multnomah County Detention Center (MCDC) at 11:39 p.m. on the evening of his arrest on charges of Unlawful Use of a Motor Vehicle and Possession of a Stolen vehicle. The judge “released” Landaker on both counts – and, although he’d violated his parole, the judge set him free on January 28. The Release Reason: “Time Served on a Sentence”. Perkins was booked into MCDC at 12:42 p.m. on January 24 on felony firearm, burglary, and methamphetamine-possession charges. At his arraignment later that day Perkins found that, in addition to the felony charges, he’d also be called to answer for several misdemeanors. Currently Perkins is lodged in Inverness Jail in lieu of $110,000 combined bail.